A luxurious combination of pink and gold, Paradise Pink jewellery set features coordinating pink crystal earrings, bracelet and pendant with 1950s charm. 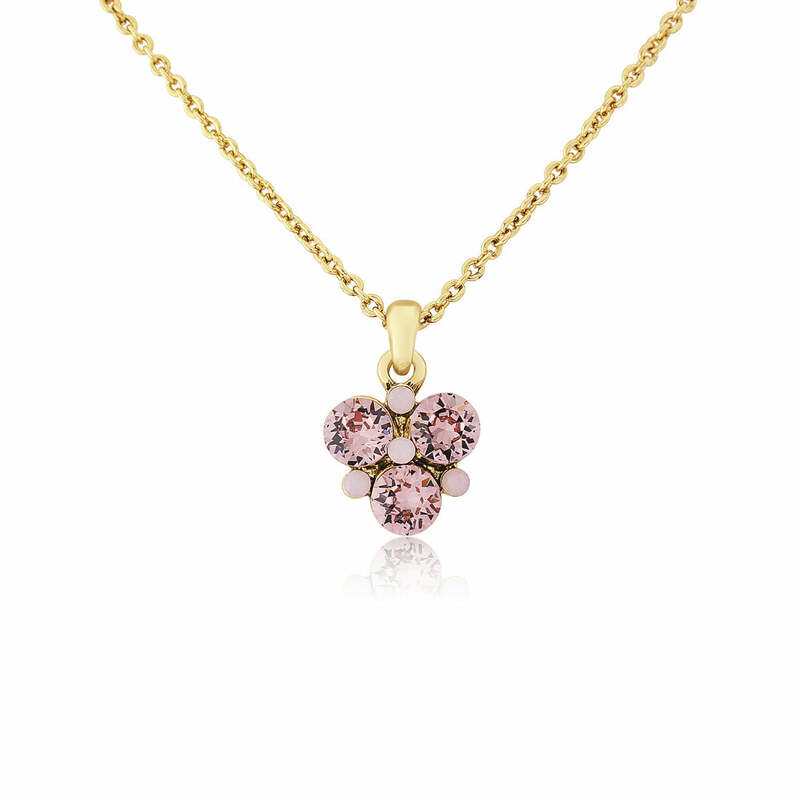 Feminine and utterly charming, our Paradise Pink Jewellery Set wouldn’t look out of place in a backstreet antique shop. 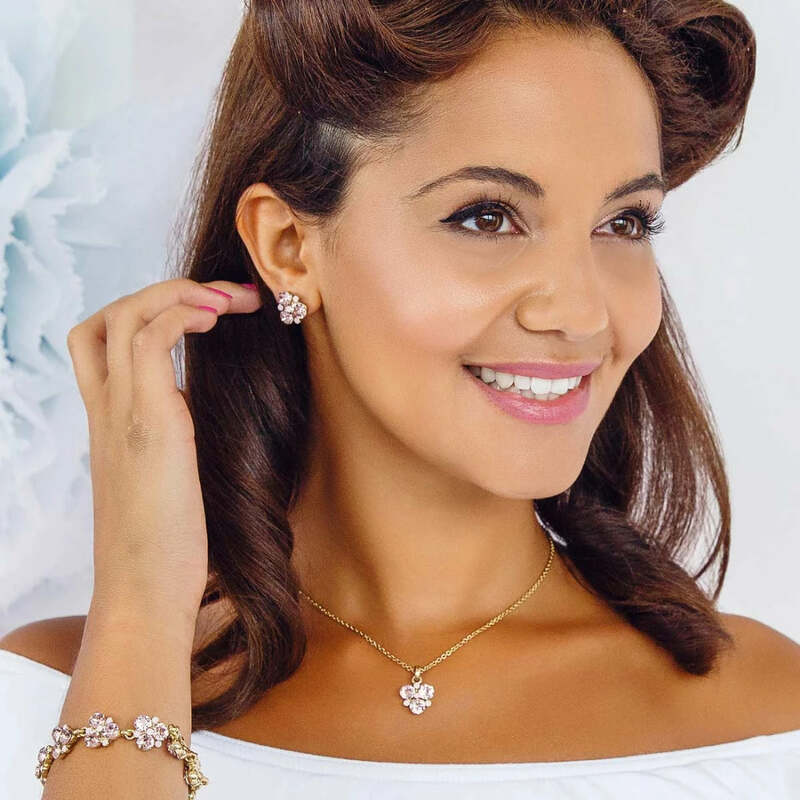 Full of the charms of vintage accessories from the 1950s this fabulous gold set comprises a drop pendant, bracelet and stud earrings adorned with rose crystals accentuated by beautiful petite milky pink crystals. A subtle set for brides or bridesmaids to accessorise a pink wedding theme. Coordinate with our matching hair comb and a bouquet of pink roses for a sensational bridal style that is full of prettiness. 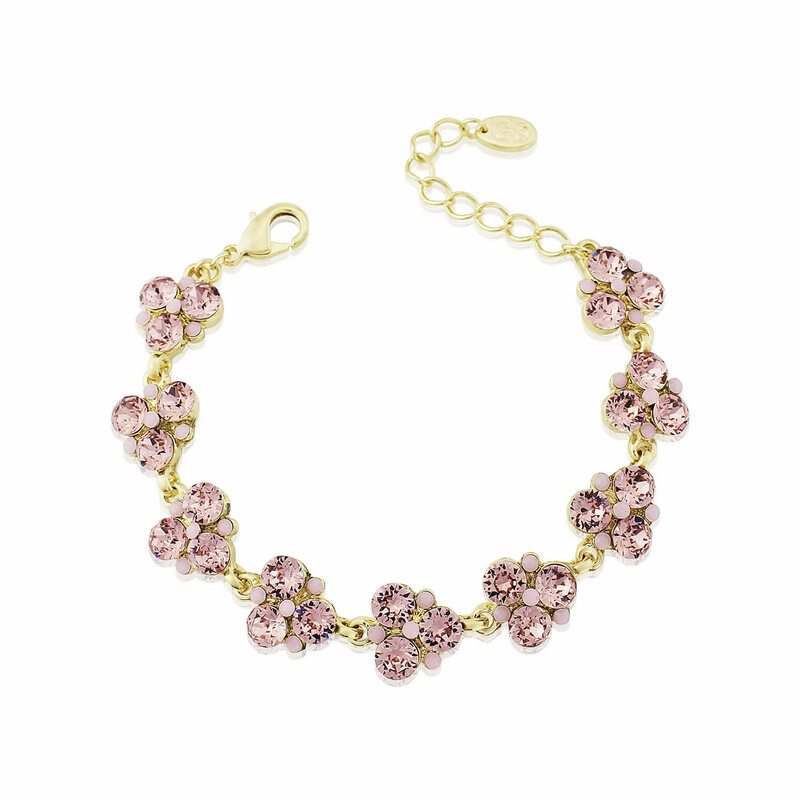 The perfect gift for all your party, Paradise Pink will become a set that your ‘maids will wear time and time again. 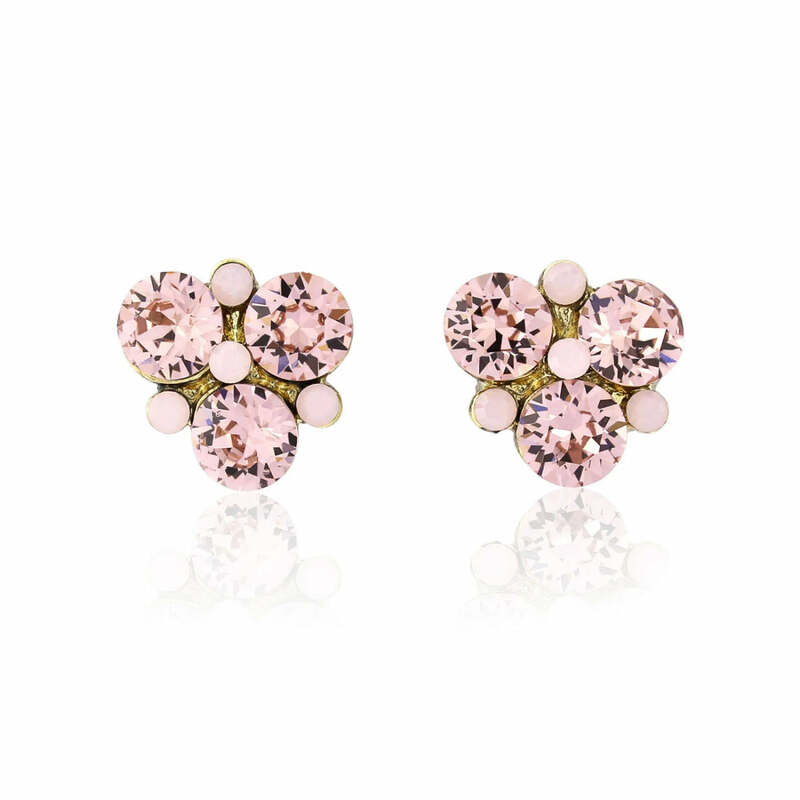 Team with a pretty tea dress for the races or dress up an elegant shift dress for a lunch date with the girls, pink jewels will ensure you look divine at every occasion.